Just finished reading Giver and Gathering Blue (review coming soon) and can’t wait to read Son and Messenger. Jonas lives in a colorless, Dystopian world where there are no animals, feelings, or climate. Jonas is about to turn twelve. At the moving-up ceremony he will officially get his assignment. Everybody is excited about the ceremony but the all of the twelves are nervous. The Elders put a lot of thought into choosing the perfect job for each person, but Jonas is worried that he will be out of place. When the announcer skips over Jonas in the ceremony, he is sure that she has made a mistake. The announcer then apologizes and says that Jonas has not been assigned, he has been selected. Jonas is to be the new Receiver of memories. The former Receiver, who is now the Giver, explains to Jonas that he will be the new holder of all memories. 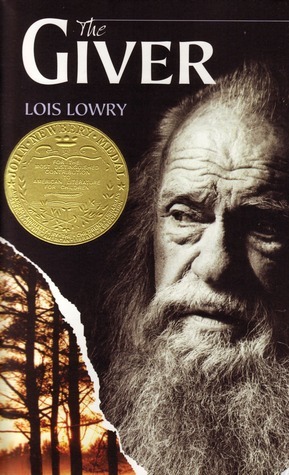 The Giver also tells Jonas that it is their job to ensure the well-being of the community. All of the memories of the past must be transferred to Jonas before the Giver is allowed to leave this world. Jonas is told that this job will require him to be brave and endure much physical pain. He is uncertain of himself, but as he sees more memories, he realizes how much these people need to be protected from what lies Elsewhere. The Giver then starts transferring more painful memories to Jonas. The memories of war and loneliness alone are enough to haunt someone forever. Will Jonas be able to hold on?